On your wedding day, the last thing you want in your way is flawed skin. Luckily, there are steps you can take in order to prevent it. You better make it fast, though — if you wait too long, you may not be able to take advantage of the important treatments you need that will make sure your skin remains perfect. With a month to spare, you’ll have plenty of time to make sure you skin stays beautiful along with your traditional routine of cleansing, moisturizing, diet and exercise. We have outlined a countdown starting a month out so you can figure out what you need to do to prepare for your wedding day. Just remember, before you begin your countdown you should already have a foundation laid down with a regular skin routine in place. OROGOLD reviews a few steps that will help you get your skin ready for your big day! Never do a facial treatment too close to the day of your wedding. Skin is not only extra-sensitive after a facial, but you also run the risk of redness or breaking out. If you want good skin on your big day, evacuate those pores of filth and perform all chemical peels and lifts with enough time to spare for any adverse reactions to go out of the way. If you have really problematic skin, you may need to do multiple facials, but your last one should be no more than a month out. You should always do a test run on your makeup for your wedding day not only to see what will look good in pictures, but also to make sure that the products you or your makeup artist are using won’t cause allergic reactions or make you break out. Three weeks ahead will give you a good gauge as to what works and what doesn’t. And if any flaws come out as a result of the test run, it also gives you enough time to recover from them. As you’re getting closer to the big day, now’s the time to take care of the skin all over your body. Get away to a spa for a day for a massage to increase circulation. Exfoliate the tougher skin all over your body and focus on rougher areas, and make sure to moisturize all over your body. Also, even if you’re not showing off your toes in your wedding shoes, a pedicure is a great indulgence not only for relaxation but also to give you a colorful outlook. There are a lot of struggles before your big day, but if you stress out it will aggravate your skin and can cause you to break out. Even though there’s a lot to take care of during this time, it’s just as important to take care of yourself. Make sure you take regular breaks from the wedding planning to indulge in things that you love, whether it’s drives by the beach or simply watching a movie. These stress-relievers won’t only help your spirit, but will also be a great relief for your hormones that typically trigger breakouts. -THE DAY BEFORE AND THE BIG DAY: SHOWTIME! Hopefully your skin is beautiful and clear, and you definitely want to keep it that way throughout your wedding day. There are certain things you should be doing as you approach your wedding day: -Get plenty of sleep: You should be getting at least eight hours a night. This not only helps keep your body refreshed, but helps fight puffiness and under eye circles. –Drink water: Keeping hydrated helps keep your skin in check and leaves you feeling refreshed. You shouldn’t ignore this while you’re getting ready. -Keep clean: Maintain your moisture and clean your skin properly. It may get stressful, but the routine things in your life will help keep you and your skin in check. If you have tiny flaws, don’t stress! Just make sure that the concealer you use covers them, and you’ll be ready to say, “I do!” to this new chapter in your life with a brighter outlook. What are you doing to prepare for your big day? Nothing can hinder a perfect complexion quite like the appearance of acne. 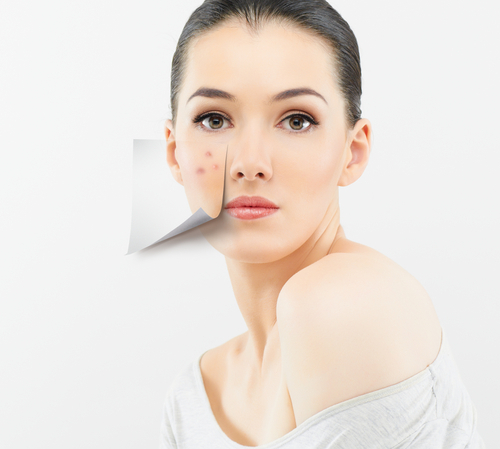 And while pimples are expected during a person’s teen years, acne can be a problem well into adulthood. Orogold Cosmetics, the industry’s leading skin care provider, offers expert tips to getting rid of acne, helping the skin heal from acne, and preventing acne from ever appearing in the first place. To learn about these tips read the article Preventing the Appearance of Acne with Oro Gold Cosmetics. Yes, most men would like to believe that they don’t suffer from skin problems like the ladies do because of their higher collagen and elastin production rates and their thicker skin. However, man or woman, your skin does deteriorate with age. The only difference is that women might end up showing the signs of aging faster than men. Your skin is subjected to all sorts of threats, damages and problems. The UV rays and the harmful free radicals are not just the only things tormenting your skin. Cuts, scrapes, chemicals and infections also play a major role in making life difficult for your skin. Add to this your sweaty gym clothes, male habits, stressful lifestyles and improper diets and you have the perfect torture chamber for your skin. As a result of these problems and the constant torture, there are several skin problems that crop up every now and then. This post deals with offering you with more knowledge about the 5 most common skin problems among men and their solutions. Wrinkles might make you think of your grandmas, but trust us, no one is safe from them. Man or woman, your face is bound to be subjected to wrinkles sooner or later. 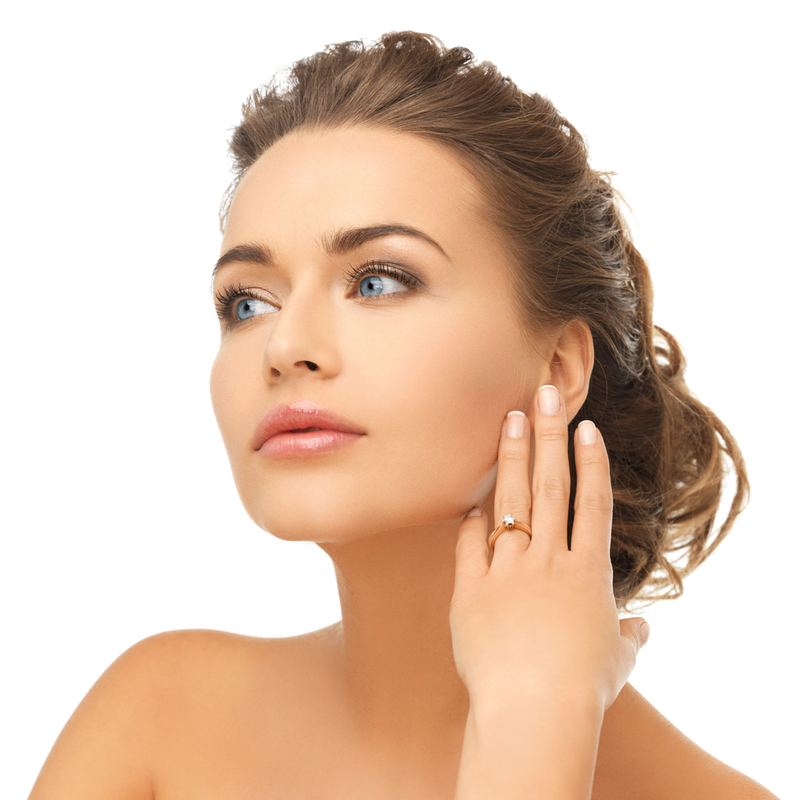 To make sure that its later rather than sooner, you really need to start off with anti-aging skin care. But before that, you need to quit smoking. As long as you’re smoking, there is no point following a skin care routine because you’re causing irreparable damage to your skin. Once you do that, start off with prevention. Protect your skin from the harmful UV rays of the sun and take the help of anti-aging serums and moisturizers. Look for ingredients like Resveratrol, Vitamin C or Retinols in your skin care. Dark circles are mostly given to you as a gift from your parents, but this doesn’t mean that you can’t get them on your own. Improper sleeping habits and poor diets are likely to give you a few dark circles of your own, irrespective of whether your parents gave them to you or not. And since your schedules don’t seem likely to change, start changing your diets and your skin care routines. Add nutrient rich fruits and vegetables, start off with regular exercises and incorporate special eye care creams and serums into your skin care routine. Contrary to what most men believe, pimples are not just restricted to the school life and your teens. The hormones were responsible for the pimple onslaught during your teens, but things like stress, excessive sweating and humidity can also lead to pimples. Start following a proper skin care routine and add ingredients that help you to treat acne. If your flare ups are really bad, visit a physician and request a proper treatment. Sunburns occur when your skin gets exposed to the UV rays of the sun. Although most men never get a bright red color, the damage done to their skin is the same. Using prevention strategies such as broad spectrum SPF 30 sunscreens, broad rimmed hats and sunglasses are the best way of protecting your skin from sunburns. But in order to negate the damage caused to your skin, you need to start using products that contain ingredients which help with anti-aging and sun protection. Razor burns are normally not very serious, but they can lead to lasting irritations or pimples that last you for several days. The problem most probably lies in your shaving technique. However, there are certain other blunders which can lead to razor burns as well. To help minimize these razor burns, use things like a pre-shave serum and an aftershave balm. Look out for ingredients such as Aloe Vera or Vitamin E in your products. It also helps to use proper shaving gels and shave with short and deliberate strokes. We recommend trying OROGOLD grooming products to get the most luxurious and comfortable shave. What are men’s top skin problems and treatments? As tough and rugged as men are sometimes perceived to be, it may come as a surprise that their skin can actually be very sensitive. Harmful chemicals and infections, cuts, scrapes, overexposure to sunlight, sweat, and stress can make male skin react in many less-than-ideal ways. Pimples aren’t just an issue for teenagers…unfortunately. Humidity, stress, heavy sweating, or the use of steroids can cause blemishes. Even if you’re the figure of perfect personal hygiene and diet, you’ll still see flare-ups. In fact, washing your face too much can cause acne to get worse. If your acne is bad enough to rattle your confidence, see a primary care physician. If you’re dealing with a more moderate situation, try a 5 percent, over-the-counter, benzoyl-peroxide skin wash from your local drug store, and use it twice a day.